The Women, Family and Community Development Ministry will implement a pilot project, known as “Diversion”, for children charged with minor crime next year, said Deputy Prime Minister Dr Wan Azizah Wan Ismail. She said the "Diversion" system would be implemented to keep children involved in crime that were minor or not serious out of the existing justice system. “The children will not be detained. (Instead) they will go through an intervention programme that is specially prepared for them based on their offence and background,” she said during an official visit to Sekolah Tunas Bakti, Sungai Besi, Kuala Lumpur. 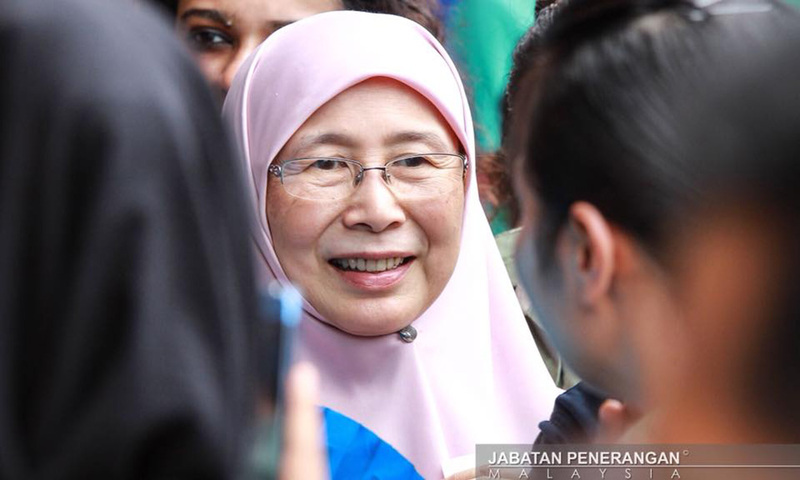 Dr Wan Azizah, who is also Women, Family and Community Development Minister, said the intervention module would be introduced as an alternative rehabilitation method and would encompass counselling sessions, community service, payment of damages or repair. However, she said, the matter would be submitted to the Attorney-General’s Chambers for further discussion prior to its implementation. She said the adverse psychological effects facing children who went through the legal process because of the minor offences they committed were worse that the offence itself. Meanwhile, when met by reporters after the event, Dr Wan Azizah said two of the three female students who escaped from a moral rehabilitation centre at Asrama Akhlak (Perempuan) Jitra in Kubang Pasu yesterday, had been found. She said the students were believed to have escaped because they were not able to adapt themselves to the condition at the centre. “We want to rehabilitate them, but they don’t understand. They felt like being confined. This is the perception that we need to change,” she added. Yesterday, Kubang district police chief Mohd Ismail Ibrahim said the incident occurred about 1am and had been discovered by a social welfare assistant after being informed by other inmates at about 1.17am. The seven inmates had escaped through the hostel toilet via the ceiling before climbing on to the roof.